When you buy the pack you get 3 transparant cards and 3 shimmer cards. The shimmer cards are the blue one with So Lovely, the pink one with Nail Genius at Work (obviously my favourite!) and the gold one with I Like To Sparkle. The transparant card all have really pretty designs on them. 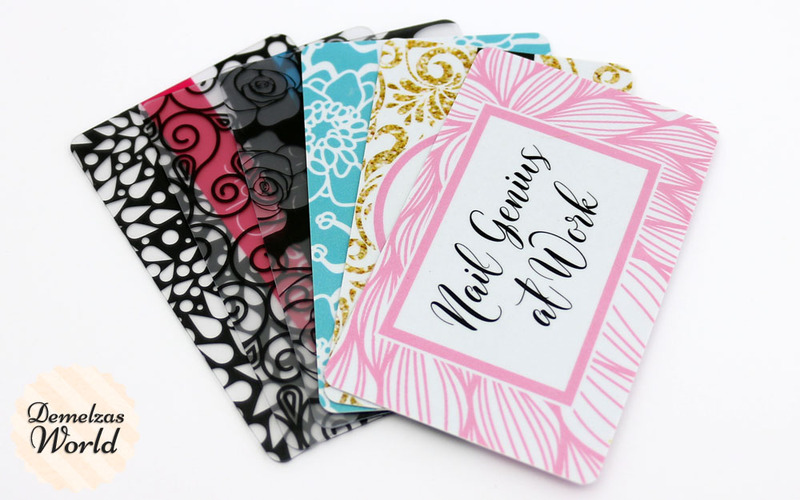 All cards are great to work with, they glide easily over the stamping plate without damaging it. When you’re done they are also easy to clean without removing their design. I’m a fan! 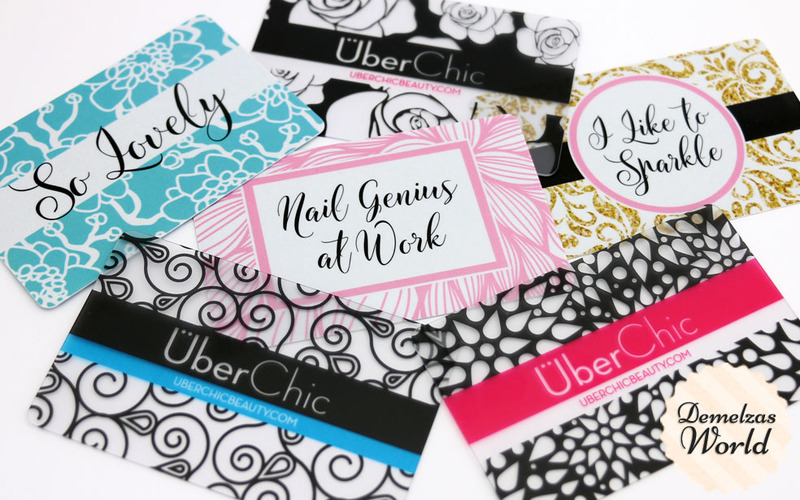 You can find the scraper card set on the Uber Chic Beauty website for $5.99 for six.